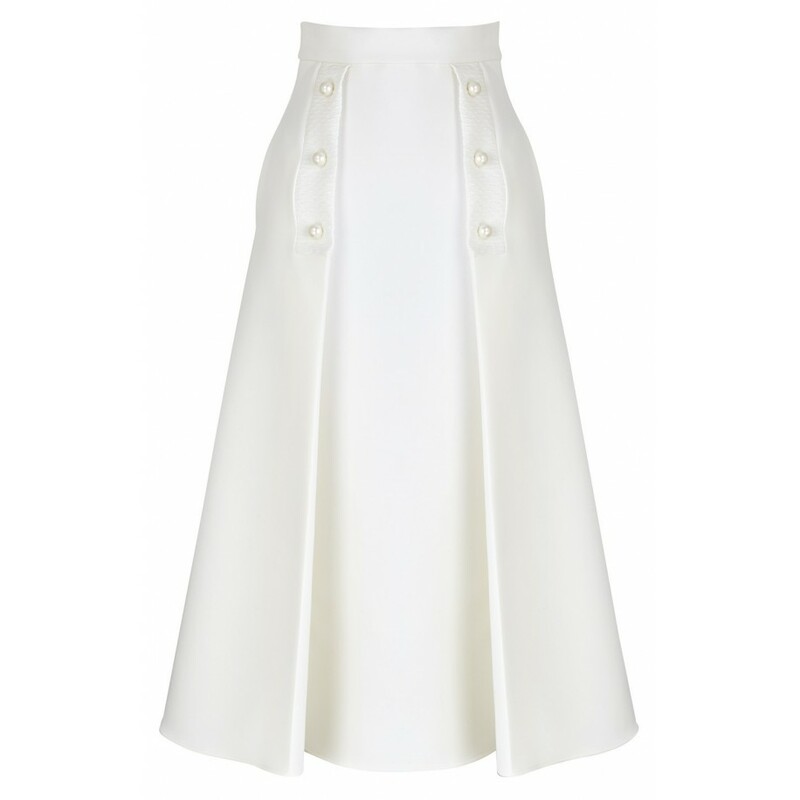 White, long, flared skirt with high waist and pearls AW17 LOOK 05 Poca & Poca combines minimalism, comfort and royal elegance. 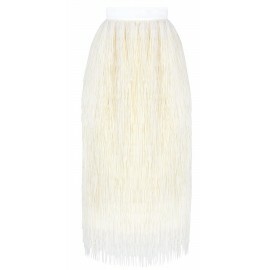 The skirt made of liquid fabric perfectly slims the silhouette and gives a graceful lightness to it. 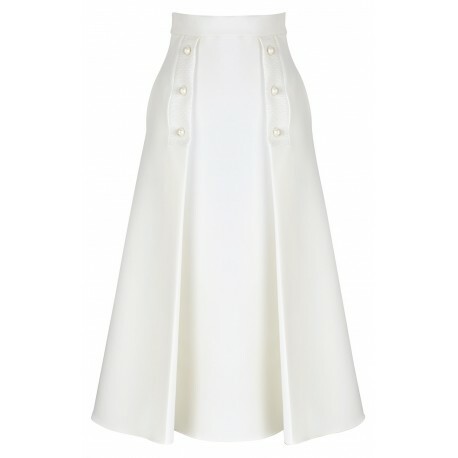 Thanks to overlaps, the skirt makes the legs look longer, underlines the waistline and hides too round hips. The stunning whiteness of shimmering fabric is highlighted by six white pearl bubbles on a quilted white fabric.